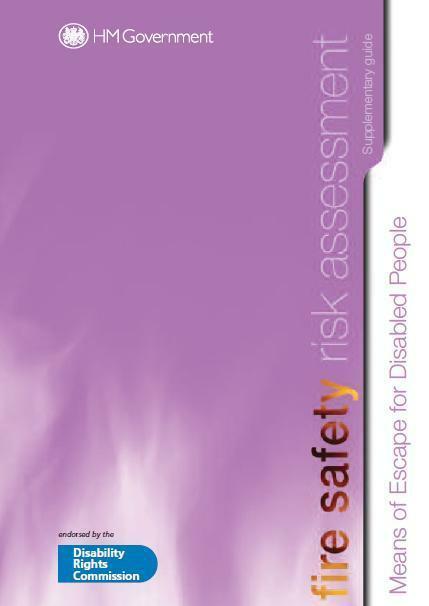 Guidance about completing a fire safety risk assessment for people responsible for providing means of escape for disabled people. This guide is a supplement to be read alongside the other risk assessment guides in this series. It provides extra information on accessibility and means of escape for disabled people.